The International School of Louisiana has been designated as one of the first state-certified World Language Immersion Schools, officials announced. The school will be given the Board of Elementary and Secondary Education seal of excellence for the quality and methods of teaching language immersion classes to children in New Orleans and Jefferson parish. The International School of Louisiana is proud to announce its recent designation as a State-Certified World Language Immersion school. The high performing language immersion school has three campuses, two in Orleans and one in Jefferson Parish. The Louisiana State Department of Education and the Board of Elementary and Secondary Education (BESE) has recognized ISL based on its overall excellence in offering high quality, highly effective world language immersion learning and teaching. 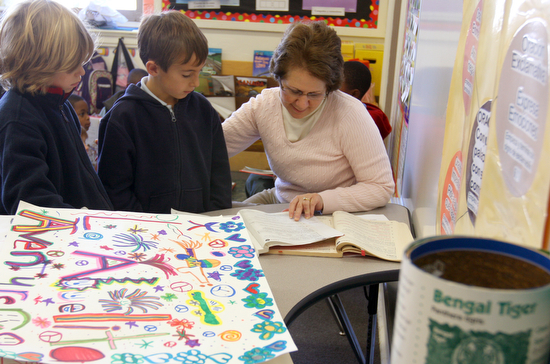 ISL was also commended as a school that consistently adheres to guidelines governing time of daily instruction in the immersion language, protects the written and oral forms of the immersion language, employs teachers who possess native-like fluency, offers professional development on best practices for immersion language, and creates written policies that enhance the immersion learning and teaching. As one of the first schools to reach State-Certified World language Immersion School status, ISL will serve as model school and will receive the BESE seal of excellence. 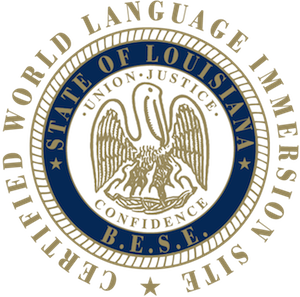 ISL’s state-certified status will be valid from January 2014 through December 2016 and will be posted on the Louisiana Department of Education’s website.